The 'To Be Read' pile. We all have one (if not why not?). I have, effectively, two. There is the large one. This exists in a large wardrobe and fills up most of the upper shelf. The second is the immediate pile, that rests beside my bed. I choose a book at random and read it before moving onto the next. The pile normally has 20 books in it. Each time I choose one book I replace it with another by the same author or by something similar, so the total remains at 20 books. At the end of the year I stop adding new books and make my way through the pile until it is empty and then I raid the large pile and start again. I have just reached the point where there are no books left in my immediate pile and have change the way I've selected the books, increasing the number to 40. I'll choose one of the four piles at random, then again randomly choose a book from that pile. 1. Some of my favourite authors. 3. A few random books that have caught my attention, have been recommended to me, or I have been threatened with bodily harm if I do not read them. 4. The biggest pile, all produced by small, quality press publishers. Many of the authors have been known to reside on the forums. 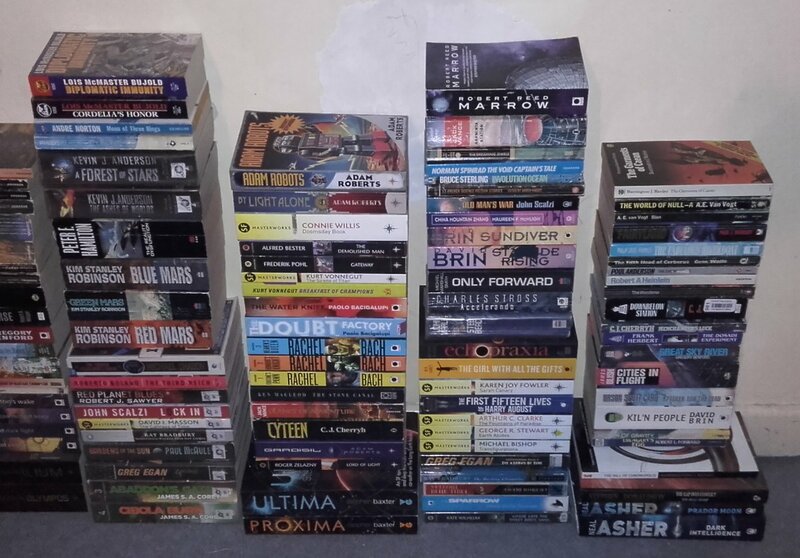 Here's my Sci-Fi To Be Read pile (waiting on a few to add to it next week) - like Danny I have a fair few ebooks too, but they don't pile very well. It's a long time since I read the Gor books, but I remember enjoying them, especially the earlier ones. As I have been reading some of the Edgar Rice Burroughs books at the same time I can really see the influences. When I decided to re-read them I was surprised to find Norman is still churning them out! Nice idea - my current approach is to alternate between ebook and paperback, and steer away from big series for now - I'm still trying to make my mind up whether or not to read some of them as a long read, or space them out and mix them with other books. This thread is intended to be a place where we mention books we've had on hand for a long time and do mean to read eventually? The books above are not my backlog! I guess the idea of the thread is for people to comment on the books there, or to share their current to read pile! Thinking about it it is probably meant to be quite wide-ranging so just post anything about books that are waiting to be read. Possibly those you are really looking forward to reading comma not reading comma or why you ended up with them! I'm glad I'm not the only one with a massive to read pile! Impressive pile, just picked up the kindle edition of H.P Lovecraft: Complete Works to run through.. I make it 86 in the picture . . .
. . . and that's without being picky and pointing out that two of them are four books in one. 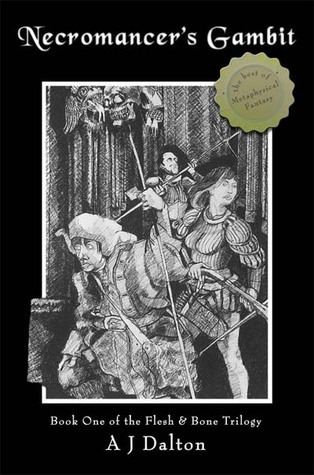 A soldier is raised from the dead by a desperate magician who needs his help. The soldier cannot remember who he was when alive, so sets out to discover his former life, those who killed him and what he can do about the fact he’s dead. Hunted by demons and frustrated by gods, what hope is there for just one man? I have an old friend who every year at Christmas tries to buy me a present that is a little different but still within the genres that I enjoy. In fact, he goes out of his way to find things that are slightly unusual and this was one of them. He also got me parts 2 & 3 of the same trilogy. They are signed (yay) and self published through Authorhouse. I believe that Dalton has had a bit of success with other work as well. It could well take me a while to read this as the print is incredibly small on the page - possibly less pages, cheaper to publish? POLL -- 300 Word Writing Challenge -- No 28 (January 2018) -- PERPETUAL MAN WINS! 300 WORD WRITING CHALLENGE #28 (January 2018) -- VICTORY TO PERPETUAL MAN!